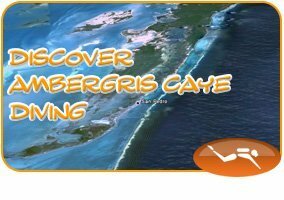 Ambergris Divers adopts the name of its island home, Ambergris Caye (pronounced Am-BUR-gris or Am-BUR-grease Key), the largest of some 200 cayes along the coastline of Belize. Located in the clear shallow waters of the Caribbean just off the tip of Mexico’s Yucatan Peninsula, Ambergris Caye stretches approximately 25 miles long and is just over one mile wide. Of course, the island is known for its proximity to the 190 mile long barrier reef, the second largest living coral reef in the world. Named after the grey amber sprays from the whales that used to pass by the reef, Ambergris Caye has grown from a coconut and fishing village to a world-class tourist destination. Now, San Pedro Town boasts gift shops, boutiques, an active nightlife and an exciting cultural events calendar year round, all while maintaining a notably friendly culture and laid-back lifestyle. Less than a mile off the coast of Ambergris Caye is the second largest barrier reef in the world, creating a unique underwater setting for arguably the best scuba diving and snorkeling in the Caribbean. 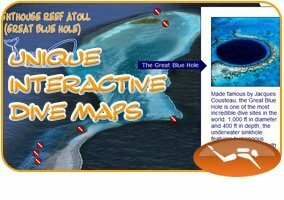 Around the island, there are countless dive sites, where you can find spectacular three-dimensional coral formations, canyons, tunnels, swim-throughs, and caverns, all at depths up to 200 feet and crystal clear visibility up to 150 feet. And of course, marine life is abundant. Schools of Nassau Grouper and Angel Fish, Lobster, Stone Crab, Morray Eels and Rays are just some of the wildlife you are sure to find under the sea around Ambergris Caye. Sightings of Reef Shark and Nurse Shark as well as the Whale Shark and the Loggerhead Turtle are common. Along Ambergris Caye, nurse sharks are probably more common than anywhere in Belize. Under the waters of Ambergris Caye are as many colors as there are in the color spectrum. To learn more about all of the different species and sites to explore, check out our various tours, each with unique sights and different levels of experience. From Belize International, you can either transfer to Ambergris Caye by Tropic Air or Maya Island Air, or you can take the San Pedro Belize Express Water Taxi. 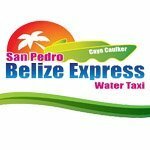 San Pedro Belize Express is the leading water taxi service in Belize, with over 25 daily runs to and from Belize City, Caye Caulker, San Pedro, and Chetumal, Mexico. Commonly referred to by its slogan, “The best and better than the rest!” San Pedro Belize Express offers the quickest and most comfortable water taxi rides. Click here for schedules, rates, and reservations online.